Bringing together anonymized patient data that is publicly available can help hospitals function more efficiently, thus cutting down costs. “We believe that Indian healthcare can be transformed by fundamental insight into cost, access, quality and utilization of healthcare resources,” the website of Searchlight Health reads. The premise behind this is the fact that the healthcare industry is evolving at breakneck speed and every day, tons of information and data are being fed into systems at hospitals and clinics. And data analytics can play an important role in the transformation of Indian healthcare. With this idea, Searchlight Health was founded in 2015. The startup primarily caters to two key segments – hospitals and health insurers. Searchlight Health has a solution ‘Hospital Marketing Cloud’, which helps a hospital with Opportunity Analysis, to understand the status of the market and the performance of the hospital in a highly granular fashion. Searchlight also gives hospitals with actionable, business-decision oriented insight into clinical, operational and financial performance. It leverages machine learning to predict future needs of customers. It also creates a marketing plan that matches the demand-supply gap at the hospital. Searchlight also leverages machine learning to improve clinical outcomes in hospitals. “First use case that is being launched is related to ICU care delivery, where it helps the doctor identify critical clinically relevant events, forewarn patients about potential risks and also help improve clinical care protocols,” says Madhu Aravind, CEO of Searchlight Health. Searchlight also works with health insurers to combine nationwide hospital data with powerful modelling tools to help health insurers identify new product and segment opportunities. It also helps health insurers understand the cost implications of policy specifications scientifically. “By helping hospitals improve clinical care delivery and driving efficiency in operations, we indirectly help in improving the standard of healthcare in the country for patients. By helping health insurers identify new product and segment opportunities, we help improve access to health insurance for millions of people who were uninsured earlier,” adds Madhu. Searchlight currently works with over 100 hospitals across Bengaluru, Hyderabad and Chennai and has partnered with some of the leading healthcare institutions in the country such as Apollo Hospitals and Manipal Hospitals. It operates on a freemium model where engagement with hospitals typically begins by signing them up for a standard set of free services for immediate value creation. Hospitals can then sign up for higher value-added features later which are paid-for. Healthcare analytics is expected to have a total addressable market size in excess of $15 billion over the next three years as per various industry estimates. It is at a very nascent stage in India and hence the current market opportunity is under $100 million. However, with increasing technology adoption and understanding of this space, the opportunity for data analytics is huge. And given that the market is nascent, Madhu says that competition is never the challenge. “It is only about making progress week-to-week, month-to-month. Having said that, there are many players from IBM to startups, who are using their own entry points to serve the space,” he adds. Searchlight now has an aggressive plan to build the business, hire a larger team and partner with more hospitals and health insurers over the current fiscal and beyond. By the end of FY18, it aims to partner with 200 hospitals and the goal for 2020 is to partner with 1,000 hospitals. 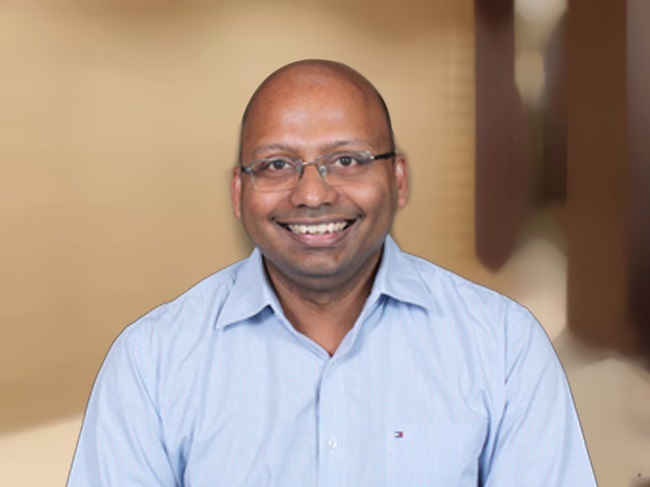 “We believe that by bringing together anonymized patient data, leveraging data that is publicly available and by building best-in-class analytics solutions, healthcare in this country can be more accessible and can create higher impact with available resources,” Madhu says.